A 2 hour tea time extravaganza! Includes a party planner to deliver all food and desserts and set up the party. She arrives two hours prior to start time and stays for the remainder of the event, then breaks down and cleans up. Tables and seating for up 20 girls. Linen color of your choice. White wood chairs. Beautiful ornate, ceramic tea set with flowers and gold trim. Your choice of juice, lemonade or tea. 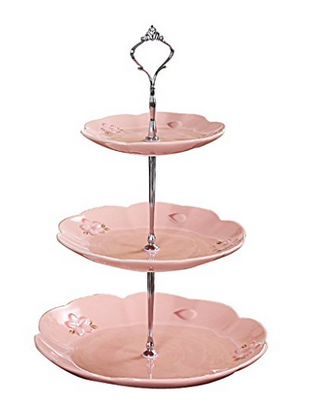 Four ivy decorated three-tiered ceramic platters filled with chef made mini sandwiches and desserts. Includes 60 mini tea sandwiches. 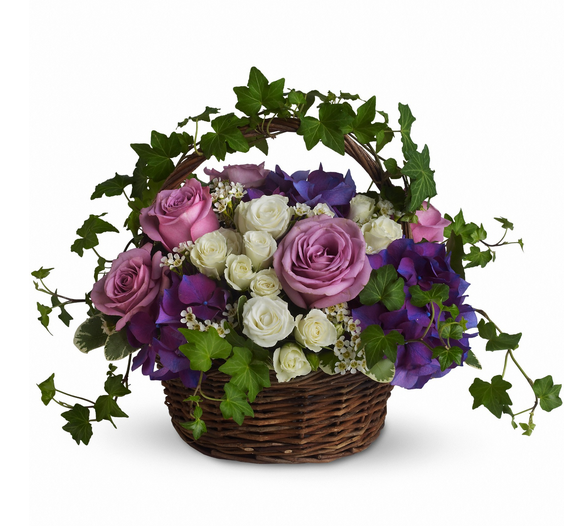 Two beautiful floral arrangements of roses (in your color choice) and ivy in baskets. 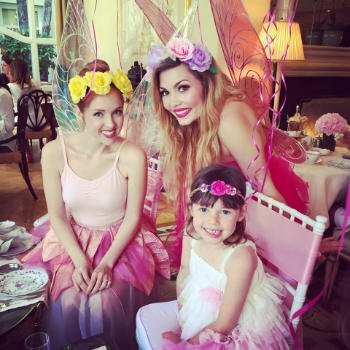 Two fairies or princesses of your choice for two hours to attend the tea party, serve tea, teach manners, play games, do makeup or face painting and conduct a scavenger hunt. Note: Since the food items are custom ordered from our private chef there is a minimum order which is reflected in the package above. You can always add more food, but if we serve less, the price still stays the same.